It’s always an honour to be invited to a wedding, but often it’s difficult to live up to that honour. 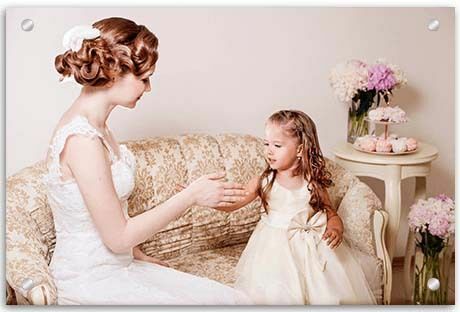 Arranging a thoughtful wedding gift is a way to convey your love, respect and best wishes for the happy couple. Giving a personalized gift carries much more weight and provides much more meaning than something off the shelf. Finding an idea that’s easy to organise is even better! 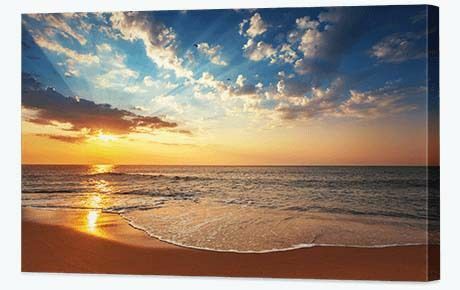 Canvas photo prints are not only affordable, but will stand out from the crowd. 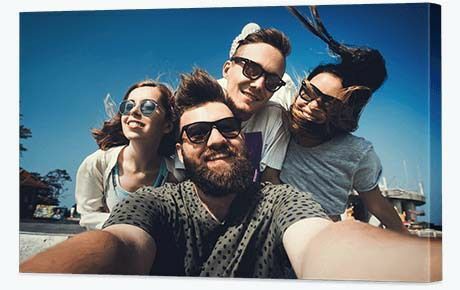 If you’re after big smiles and warm hearts, surprise your bestie with a gift of canvas. 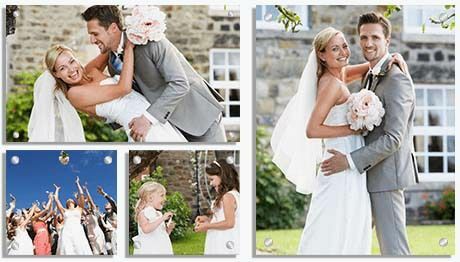 Create a thoughtful collage that honours the love between the bride and her husband. Bring on the happy tears! 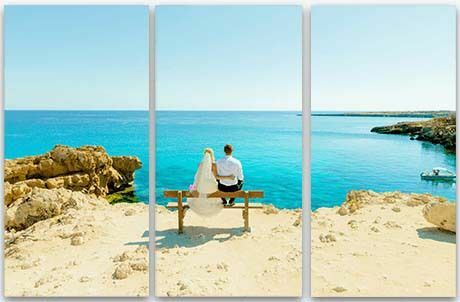 If you’re the maid of honour or one of the bridesmaids, put together a collection of photos of the happy couple from the day they met leading up to this special union. 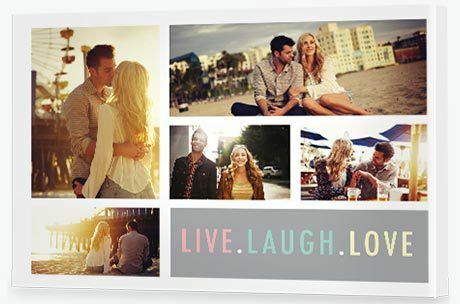 Present the photos on our themed ‘Live Laugh Love’ canvas collage. This one of a kind gift honours life, laughter and love. It’s something special that will feature pride of place in the home and hearts of the happy couple for years to come. Match this gift with a bottle of French champagne (Moet anyone?) and you’ll create something special you can all share together into the future. Blokes love a bit of sentimentally more than they care to admit. In fact, men need to be there for each other. Mateship is alive and real. It’s vital your mate knows marriage doesn’t mean those things suddenly go by the wayside – for both your sakes! 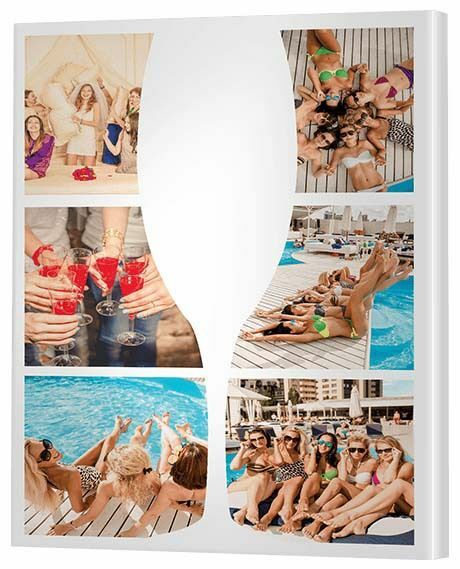 This is not a gift where you shame your mate (that’s one for the buck’s night!). 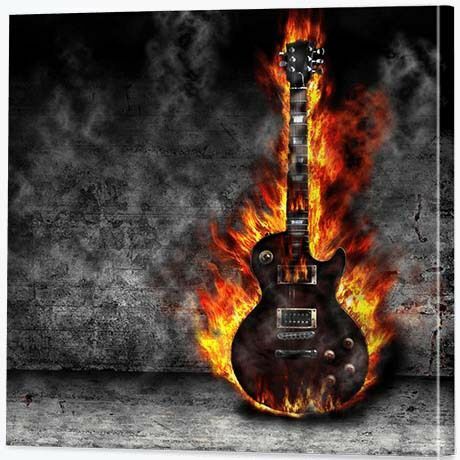 This is one for his man cave or office wall. 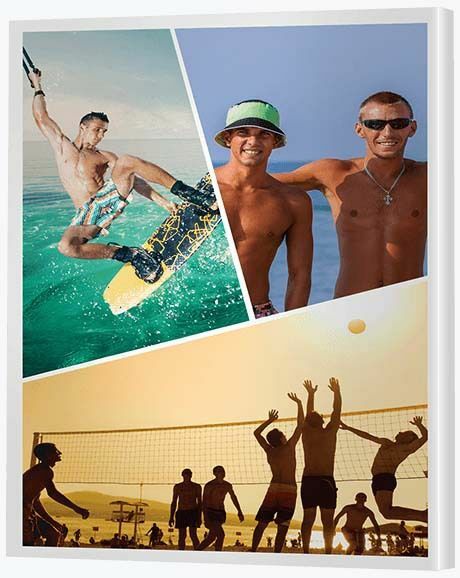 Collect some photos of the groom with his mates doing what he loves – it might be surfing, skiing, golfing, fishing or all four! Then place these photos on one of our cool modish collages. Match this cool collage with a bottle of 18 year old The Glenlivet and your friend will know he’s just experienced the true spirit of mateship. All we want for our children is happiness, so seeing our children marry is an incredibly special moment that simply must be appropriately recognised. Honouring your love for years to come with a metal work of art is a stunning ‘must do’. In fact, if you use our Wedding Planning Checklist, you’ll even remember to budget it in! Brushed aluminium is not only durable, it looks exquisite and can enjoy pride of place indoors or outdoors. Generosity is the name of the game here. 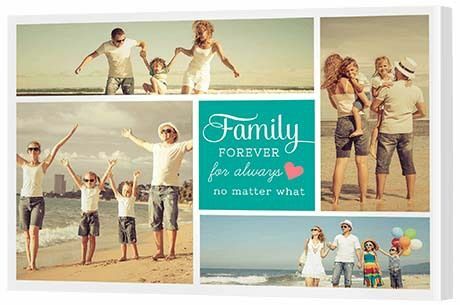 The secret about the gifts below is that – compared to many wedding favours and thank you gifts out there in the marketplace – these ideas are actually quite affordable. Looking for something special to surprise your guests at your reception? This is a wedding favour or bomboniere everyone will be talking about for years. 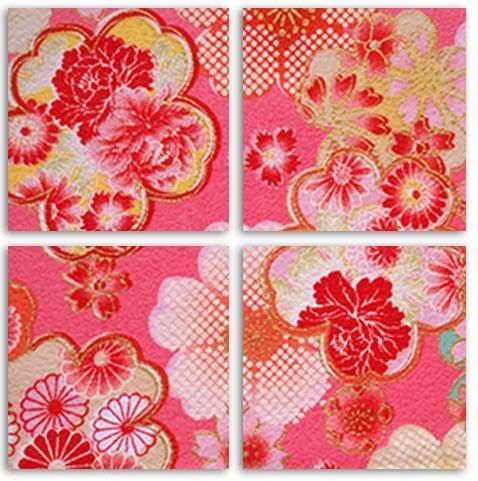 Opt for an affordable single square 20x20cm or rectangular 30x20cm print. Unforgettable. There's a reason they call them man caves - it's a place he can retreat to when he needs some space. And often it's something we all need, but don't often prioritise. From the uber nerd to the blokey bloke, we have art options to suit.